Riding implies partnership. Only mutual trust, appreciation and respect enable a maximum performance. I would like to thank my partners for their outstanding support, their passion for our wonderful sport and their continuous dedication to excellence. I would also like to express my sincere “THANK YOU!” to my fantastic team of owners who share my passion for our wonderful horses and sport – they are the heart of my team and the foundation of my success – I could not do it without their support! Fairfax has now developed a range saddles and bridles that use the same scientific research as the Performance girth. Fairfax Saddles use simultaneous pressure mapping and gait analysis to develop products that prevent muscular restriction and so improve freedom of movement. Working with impartial experts in their field, ensures their scientific testing is unbiased and accurate. Kep Italia is an Italian Company manufacturing superior helmets, established in 2007 as a result of the passion of its founder, Lelia Polini. The Company is located in the north of Italy. The entire production process is carried out in Italy: Kep Italia is a committed supporter of “made in Italy”. The products are extremely high quality and comply with the strictest safety regulations. Kep Italia goal is to provide top quality products and services that are understood and approved by their clients and consequently earn them their trust. Kep Italia wants that the clients see the brand as a symbol of seriousness and professionalism so that they can consider as a current and future partner in the selection of their equestrian protection. Vetoquinol takes quality control very seriously, whether it is for medicines or nutritional supplements. From the selection of premium raw ingredients to the finished product, quality and security are assured via the Vetoquinol Best Practices guarantee. For over 50 years, SPILLERS have continued to lead research, innovation and development in equine nutrition and feeding. They are passionate to help benefit the lives of horses and ponies, whether competitive performance is the goal or simply enjoying the pleasures that horses bring, their expertise ensures that you can provide the best nutrition for your horse. Through their continued work with WALTHAM Centre for Pet Nutrition, SPILLERS collaborate with vets and nutritionists throughout the world to improve our knowledge of how nutrition can affect a horse’s health, behaviour, welfare and performance. This work places SPILLERS in a unique position to provide the best nutrition for horses and ponies today. Frank Rothenberger is one of the world's leading Course Designers and with his team at CARO he is designing and supplying tailor-made showjumping fences for all individual needs. ‘For over 30 years the Australian Sports Foundation has partnered with sporting clubs, organisations and athletes to raise money to increase participation and performance in sport. Kiah Consulting specialises in bringing private sector acumen to the public sector. We are an Australian company established in 2003, and are now a multi-million-dollar business servicing government and industry internationally. We eschew the mediocre to astound in delivery through innovation, design, alignment and purposeful execution. We do this across domains ranging from logistics through IT and infrastructure with expertise in specialist procurement and service delivery management. Kiah is unlike any other consulting company. Our business is fixing business problems, typically in and with the public sector. We balance commercial imperatives with public sector values. We solve problems “from the inside out”, building partnerships with our clients and providing advice and leadership through consultation, influence and example. No two assignments are the same but nearly all are characterised by ambiguity, urgency and challenge. We do the things that need to be done, not everything that might be done. We seek to leave a legacy of sustainable, self-managed outcomes appropriate for the client’s needs. We believe in brilliance. We sponsor and support our young riders because we like to see hard work and talent rewarded. We partner with Andrew because he shares our values. We are proud and happy to work with Andrew and his team and share the joy of Algebra’s eventing career. ArcEquine is widely respected amongst top level competitors and trainers, supporting both health and wellbeing in horses training and competing at all levels. The small and completely portable ArcEquine unit is very easy to use and the drug-free, non-invasive microcurrent therapy treats the whole body. One three-hour treatment period daily will rapidly reduce swelling, inflammation and pain resulting from injury, along with supporting healing in all tissue types, including bone, tendons, ligaments, muscles and nerves. In addition, by effectively preventing cumulative damage caused by so-called micro-tears, which occur daily as part of ‘normal’ training, ArcEquine will reduce the likelihood of ‘niggles’ deteriorating into major injuries. Horses are very comfortable with an ArcEquine, which should be rotated around uninjured legs on consecutive days during a treatment period. When compared to pharmaceutical medications, ArcEquine therapy has no known side-effects and cannot be ‘overdosed’. Alongside correct rehabilitation, ArcEquine will speed up the healing process and shorten recovery time, helping to reduce associated stress. Bombers Bits meet the industry’s highest scientific standard for horse bits. The brand’s focus is on providing innovative solutions to riders' needs; their famous horse bits have an ethos of innovation, with handmade quality. A Bombers bit helps achieve enhanced communication and feel between horse and rider; Bombers Bits are used across all horse riding disciplines. Since pioneering and developing its mouth-moulding process (which involves taking an impression of the equine’s mouth bars, in order to create a custom-made bit) earlier this year, Bombers Bits has been honing the innovative process, and the brand is delighted to be working with Andrew Hoy in a partnership capacity. Bombers’ UK representative Sue Gilliatt undertakes bit prescription yard visits; she fully involves equestrian dental technicians to perform the mouldings, and then ‘prescribes’ her equine clients a Bombers bit with a suitable mouthpiece and cheekpiece from the Bombers range. In addition to the bits ‘prescribed’ with the moulding method, Bombers Bits are widely available ‘off the shelf’, and also made-to-order, with relevant cheekpieces and mouthpieces; they’re distributed in the UK by: www.equineman.com. 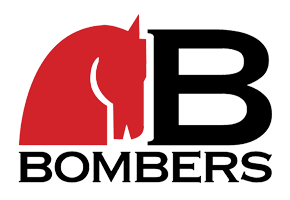 Visit www.bombers.co.za for more information.